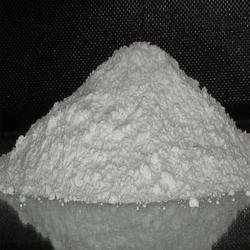 We are a leading Manufacturer of descalant powder from Ahmedabad, India. By keeping track with the latest market developments, we are offering high-quality Descalant Powder. The provided powder is precisely formulated using superior quality chemical compounds and contemporary technology in line with the set industry standards under the direction of adept professionals. Our quality controllers test this powder on several measures of quality to make it effective and defect free. Furthermore, our clients can avail this powder in different packaging option at a reasonable price. Regular use will extend the life of the appliance and saves running cost. In hard water areas washing machines should be descaled every three months and dishwashers should be descaled every six months. It can be used in appliances such as Washing Machines, Dish Washers, Geysers, Steam Iron, Coffee Makers, Bath Tubs, and Bathroom Fixtures etc. Looking for Descalant Powder ?